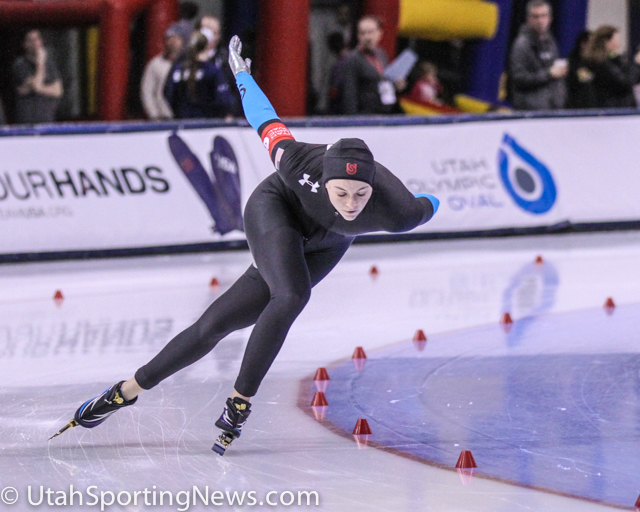 Kearns, Utah – Shani Davis and Heather Richardson will head to the Sochi Olympics in 2014 skating to victories in the 1,500 meters at the U.S. speedskating trials Tuesday at the Utah Olympic Oval. Davis already had qualified in the 1,000 and will make this his third Olympics. His qualifying time was 1:43:20 which is better than his times at both the Turin and Vancouver games. Brian Hansen finished second to Davis in 1:43.70. The other two spots for Sochi were claimed by Joey Mantia (1:44.41) and Jonathan Kuck (1:45.29). For the women, Richardson crossed the line in 1:54.19 to capture the women’s race while Brittany Bowe took second which was the same result in both the 500 and 1000 meter events. Three Olympic berths were up for grabs on the women’s side. Jilleanne Rookard took the remaining position in 1:57.70. Davis, Richardson and Bowe will all go into the Olympics as leading medal contenders for the long track with one of the best teams heading to Sochi since the 2002 Winter Games. No new members were added to the Olympic team on Tuesday. Everyone who qualified had previously earned spots in other events. Mitch Whitmore, Waukesha, Wis., 1:09.12 (34.41, 34.71). Tucker Fredricks, Janesville, Wis., 1:09.44 (34.69, 34.75). Brian Hansen, Glenview, Ill., 1:09.85 (34.98, 34.87). 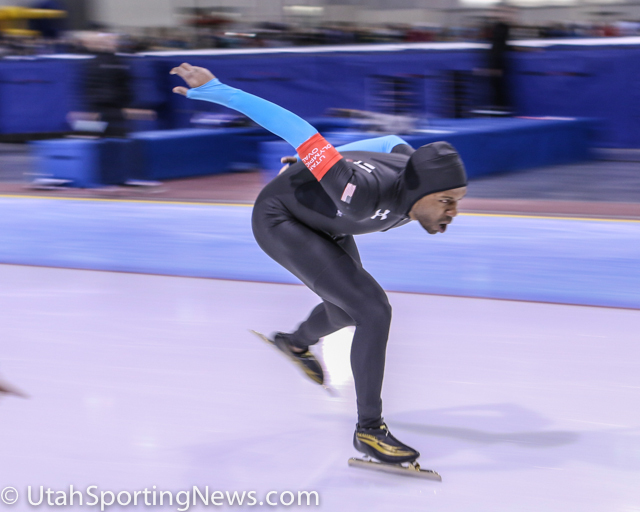 Shani Davis, Chicago, 1:10.21 (35.15, 35.06). Joey Mantia, Ocala, Fla., 1:10.30 (35.06, 35.24). Matt Plummer, St. Louis, 1:11.62 (35.56, 36.06). James Cholewinski, York, S.C., 1:11.69 (35.89, 35.80). Kimani Griffin, Winston-Salem, N.C., 1:11.96 (36.12. 35.84). Matthew Rittenhouse, Saratoga Springs, N.Y., 1:11.99 (35.90. 36.09). Robert Lawrence, Gaffney, S.C., 1:12.16 (36.11, 36.05). Shani Davis, Chicago, Ill., 1:07.52. Brian Hansen, Glenview, Ill., 1:07.53. Joey Mantia, Ocala, Fla., 1:07.88. Mitch Whitmore, Waukesha, Wis., 1:08.33. Trevor Marsicano, Schenectady, N.Y., 1:09.09. Alex Ochowicz, Palo Alto, Calif., 1:10.14. Kimani Griffin, Winston-Salem, N.C., 1:10.37. James Cholewinski, York, S.C., 1:10.54. Edwin Park, Federal Way, Wash., 1:10.58. Jonathan Kuck, Champaign, Ill., 6:19.75. Emery Lehman, Oak Park, Ill., 6:25.72. Patrick Meek, St. Louis, 6:27.90. Edwin Park, Federal Way, Wash., 6:38.60. Trevor Marsicano, Schenectady, N.Y., 6:42.04. Alex Ochowicz, Palo Alto, Calif., 6:51.80. Steven Hartman, Falcon Heights, Minn., 6:58.35. Josh Wood, Sacramento, Calif., 7:01.81. Heather Richardson, High Point, N.C., 1:14.19 (37.10, 37.09). Lauren Cholewinski, Rock Hill, S.C., 1:16.18 (38.13, 38.05). Sugar Todd, Milwaukee, 1:16.42 (38.18, 38.24). Elli Ochowicz, Palo Alto, Calif., 1:16.54 (38.44, 38.10). Rebekah Bradford-Plath, Apple Valley, Minn., 1:17.25 (38.51, 38.74). Kelly Gunther, Lorain, Ohio, 1:18.90 (39.37, 39.53). Sarah Warren, Willowbrook, Ill., 1:19.71 (39.76, 39.95). Jerica Tandiman, West Jordan, Utah, 1:20.02 (39.87, 40.15). Allie Thunstrom, Roseville, Minn., 1:21.02 (40.37, 40.65). Heather Richardson, High Point, N.C., 1:13.23. Brittany Bowe, Ocala, Fla., 1:13.93. Kelly Gunther, Lorain, Ohio, 1:16.43. Elli Ochowicz, Palo Alto, Calif., 1:16.52. Rebekah Bradford-Plath, Apple Valley, Minn., 1:16.53. Anna Ringsred, Duluth, Minn., 1:18.88. Lauren Cholewinski, Rock Hill, S.C., 1:19.07. Sarah Warren, Willowbrook, Ill., 1:19.75. Jerica Tandiman, West Jordan, Utah, 1:20.52. Jilleanne Rookard, Wyandotte, Mich., 4:09.66. Anna Ringsred, Duluth, Minn., 4:13.80. Theresa Cliff-Ryan, Cedar Springs, Mich., 4:14.56. Petra Acker, Clifton Park, N.Y., 4:14.62. Maria Lamb, River Falls, Wis., 4:15.99. Jaclyn Rowe, Wheaton, Ill., 4:17.82. Briana Kramer, Salt Lake City, 4:20.64. Rebekah Dyrud, Park City, Utah, 4:21.10. Nancy Swider-Peltz, Wheaton, Ill., 4:21.65. Clare Jeong, Tacoma, Wash., 4:22.13. Kearns, Long Track, Olympic Oval, Olympic Trials, Olympics, Shani Davis, U.S. Speedskating. Bookmark.